Why Choose PTWI Physical Therapy in Fort Lauderdale? At PTWI Physical Therapy in Fort Lauderdale, patients get better faster. We empower our patients by providing them with the tools they need to help themselves through a home exercise program. This process helps to unleash the healing power and potential of the human body by expediting it with the use of fast-acting techniques and the most modern technologies. If you are limited by injury or pain PTWI Physical Therapy in Fort Lauderdale can help. Their commitment, expertise, and facilities help to restore your quality of life by getting you the results you desire faster and better than other clinics forPTWI Physical Therapy in Fort Lauderdale and surrounding areas. Their treatment programs are designed to get you back to your pain free life and feeling better as quickly as possible. They also provide their patients with self empowerment and self-help tips to benefit them at home. Some of the specialized programs that PTWI Physical Therapy in Fort Lauderdale provides to their patients are; ML830 Laser Therapy Program, Pain Relief Program, Fall Prevention Program, and Weight Loss Program. Other specialized services include Manual therapy, Soft tissue mobilization, flexibility in joints, optimal spinal stabilization, ultimate lower back workout. At PTWI Physical Therapy in Fort Lauderdale we work with your insurance but it’s up to you to get reimbursed. We will help if necessary. PTWI Physical Therapy in Fort Lauderdale has the compassion, revolutionary technology, and great physical therapy clinic to get you on the road of being pain free! Don’t put it off. The longer you wait the more serious your problem may become. Schedule An Appointment with PTWI Physical Therapy in Fort Lauderdale Today!! During the history of training, physiotherapy and practice have changed and improved. The first American professionals in the history of physiotherapy were from the Walter Reed College and Hospital in Portland Oregon. Rather than being called physiotherapists, they were called reconstruction aides. After the polio epidemic had waned, the treatments of choice were massage, traction, and exercise. In about 1950, chiropractic manipulations came on the scene in the history of physiotherapy. This was most common in Great Britain. Freddy Kaltenborn, from Norway, influenced physiotherapy on the east coast of the US. At the same time, Geoffrey Maitland of Australia changed the way training was done in the history of physiotherapy. During the history of practice, physiotherapy and training have changed and improved. Many brilliant pioneers have left their marks in the literature and organizations of the field. Physiotherapy is a well-respected profession as a result. At the same time, Geoffrey Maitland of Australia changed the way training was done in the history of physiotherapy. Research has been done throughout the modern history of physiotherapy. Physiotherapy research continues today in a myriad of specialties. In 1921, the Physical Therapy Association was formed by Mary McMillan. This group later became the APTA, arguably the most influential organization in the American history of physiotherapy. In 1894, there is the first evidence of a group of nurses in the history of physiotherapy with a Chartered Society. The first American professionals in the history of physiotherapy were from the Walter Reed College and Hospital in Portland Oregon. The polio epidemic was a turning point in the history of physiotherapy. The foundation offered physiotherapy for these patients. The polio epidemic was a turning point in the history of physiotherapy. After that time, the history of physiotherapy moved from hospitals into other arenas of service. There were, and are, physiotherapists working in clinics, private practices, nursing homes, and schools. The Orthopedics specialty of physiotherapy was born about this time. 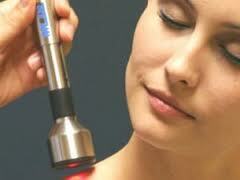 I offer Revolutionary hands-on treatment for all types of chronic pain and headaches. You can expect results typically from the very first session. I use advanced hands-on techniques that are gentle and unique to your individual needs. Our treatments are tailored for those who have been suffering for years from all types of chronic pain and dysfunctions. Our holistic approach targets the root of your problem to give you fast recovery and long lasting relief. My programs are designed to relieve your pain, improve your function and promote healing.